We're sorry. There are currently 1852 items available in stock. A luxurious blend of moisturizing oils will pamper your skin while the heady Green Rose scent transports you to a lush garden when you use this cleansing shower oil. 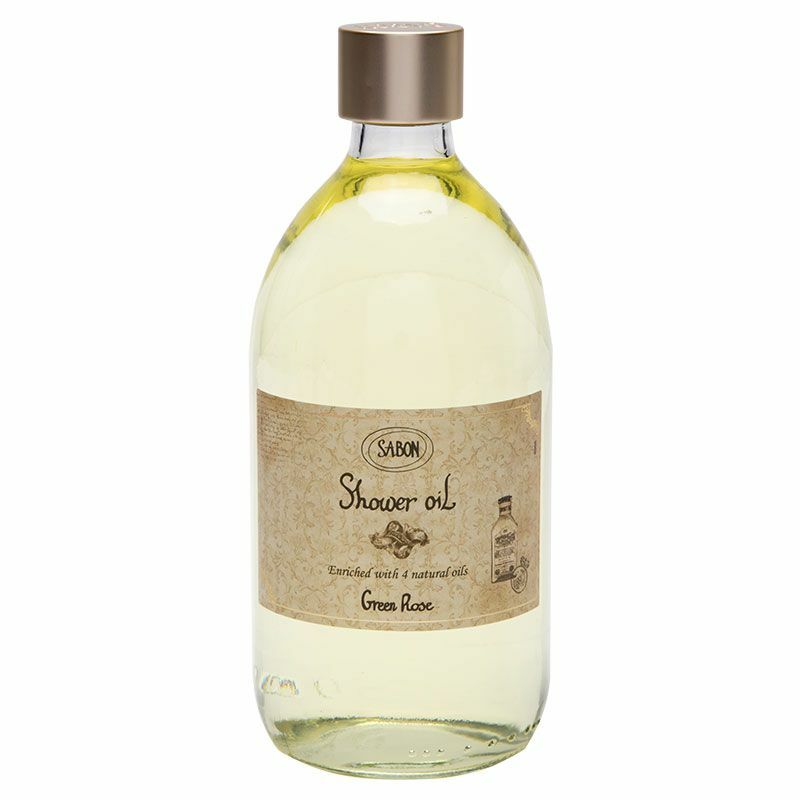 Luxurious and hydrating body shower oil. Features a decadent and floral Green Rose scent. Maintains skin’s natural pH levels through high levels of antioxidants. Rich in omega 3, 6, 7 and 9 fatty acids as well as vitamins D and A.
Enriched with jojoba, olive, avocado and wheat germ oils. 250 milliliters (8.5 fluid ounces). Free from sulfates and parabens.